This is going to be a very quick post. I am exhausted and I need to get some sleep before teaching tomorow. The class today was a hoot, thanks guys, you were great. The Prince of Wales, Southport, is not a hotel I will ever stay in again. If you want to know why google for reviews, they are all pretty acurate. Premier Inn however was lovely. Now to try and make up for missing a nights sleep. We made it. There were indeed a lot of roadworks but mostly the traffic was moving. The weather even held for us, only raining when we were in the car and stopping each time we needed to get out. The venue is quite easy to find and despite looking very modern on the outside the interior is full of fantastic period architecture. I didn't think to take a picture on my phone so you will just have to believe me. We unloaded and scoped out the theater. 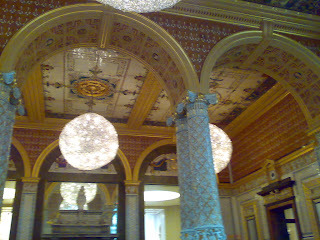 We also had time for a coffee in the dinner room. It has the strangest acoustics. Everything echos. You need to talk quietly and down to nothave an echo. Apparently it goes away when the room is full. Very odd. The photograph is of the lake behind the conference center. The whole of Southport is full of lovely buildings. It must have been staggeringly beautiful in it's heyday. I've been told that the town is now working hard to restore the buildings. I hope they do, this is a lovely town that deserves to be looked after. I've not heard anything from Lancaster so I guess Phoenix didn't place in the competition. I would love to have a picture of it while it is there though, so if you are at the show, please could you take one for me. I am also waiting to hear about another American event. It's always worth lookin at www.thequiltshow.com, and indeed subscribing to the shows, but perhaps there is more to come? The car is packed I think we have everything, well I have left the kitchen sink and the first aid kit, but I think I have everything else. Now it's about time we headed north. Apparently the M^ is all roadworks but even with that we should be there by mid afternoon. See you all at the Quilters Guild AGM. I've been working on my sample for a new workshop. 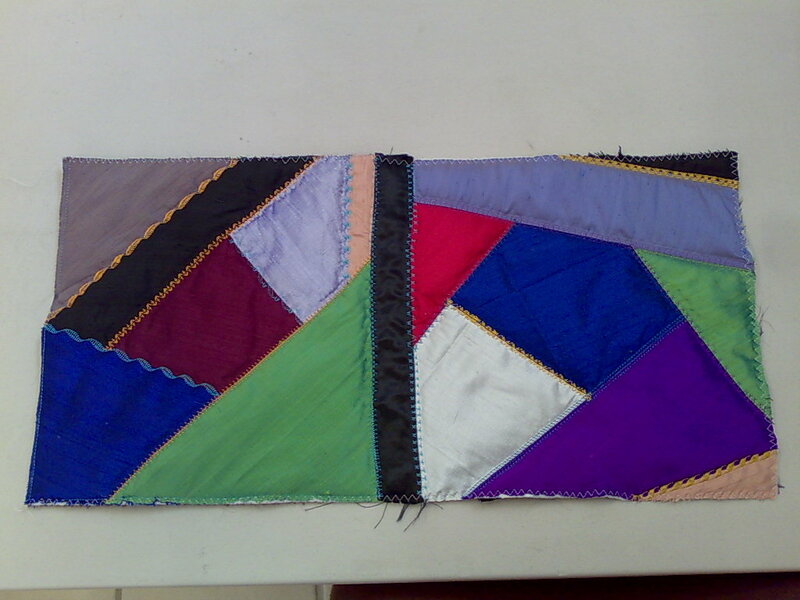 It is a quilt as you go crazy quilt made entirely by machine. I've done 6 blocks now but I haven't had time to put them together yet. It's difficult fitting everything in and this isn't something I can take with me to work on. My version is made entirely from silk fabrics. Of course you could make it with any fabric you like, but I've wanted to do a silk quilt for a while. It is a good pattern for using difficult fabrics so it seemed the ideal time to use the silk. The workshop will be running for the first time in May at Patchwork Corner. It's selling out fast so if this is a project you fancy book sooner rather than later. My wholecloth class is now full but hopefully we will be able to run it again soon. I have almost finished the sample for Speed Quilt 4 as well. This year it is Amish inspired. I've enjoyed putting it together and I hope my students will too. It is a little smaller this year, although you can easily extend it with extra borders. I think I mentioned that I was planning on going to see the Quilt exhibition at the V&A in London. I was invited to the press preview along with many other bloggers, but I was working so I had to pass on that invitation. Fortunately I have client who was prepared to take me along on her membership. Having seen the coverage in the press I wasn't expecting much from it. I felt that the coverage implied quilting was a dead skill that needed to be recreated. It just isn't true, we could do with more quilters especially more who want to find new ways of using it, but there have always been quilters in the UK. There was also a lot of press coverage for modern quilts in the show. Sadly not quilts from quilters. I was aware there would be at least two modern quilts that I would like but for a large high profile exhibition I was hoping for more. There are so many very talented quiltmakers here and I would love their work to be brought to a wider audience. Maybe that has made me less accepting of this show. There are so few chances for the general public to see quilts I desperately wanted this exhibition to show everyone how amazing quilting is. Unrealistic? Certainly. Although we got to the show quite early in the morning it was already very busy. The first few exhibits were very crowded, fortunately the busiest didn't really grab me. I did love the patchwork bed hangings, which were right by the entrance but attracting a lot less attraction than the very early cot quilt. The wall hanging was the start of a theme for me. 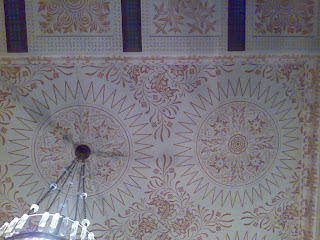 These hangings were made entirely of scallop shapes. This is a shape I love but I know I won't be using it in a quilt. To use well it is a very time consuming shape. Of course a lot of the people who were making quilts had time, and lots of it. The soldiers were often doing while in hospital, and weathier ladies would have been almost trapped in their homes. They may not have had a lot of materials wot work with but they made up for it in time and imaginnation. I did very much enjoy the older exhibits. I love the irregularity of a lot of them. I think it enhances the patterns. I did come away with a lot of ideas from these quilts. Again I saw a lot of quilting patterns that I use being stitched by hand on these older quilts. We even found a great patern for using up the very small pieces that Lisa has. Of the new quilts I was really looking forward to Sara Impey's new piece. It delivered exactly as I was hoping. I was also looking forward to the quilt from Fine Cell Work, a prison craft group. My goodness do they live up to their name. The workmanship is fantastic. I really admire what they achieve. Like the older quilts I see the application of time. Much like the wealthy ladies, they have time to fill. I would rather see them achieving something than wasting the time. I hope the prisoners involved also find it helpful, if only to give them a skill they can succeed at. The photographs are from the cafe. The building is amazing, although when you walk in to the cafe you would never guess these rooms were hiding just around the corner. 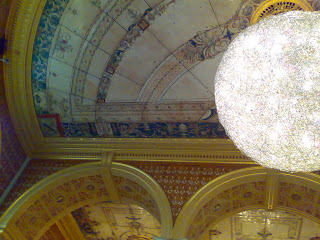 I had only taken my phone so the pictures aren't great, but they give you some idea of the beauty of the room. I will try and get back and take some good pictures at some point. Overall I found the exhibition to be a lot better than I had feared. I still feel the exhibition in Bath was more to my taste, but there were a good number of interesting historical quilts at the V&A. I was quite disapointed with the book of the exhibition though. Several of the quilts I really wanted pictures of are only shown in the book as a close up. I would rather have a full picture of every quilt with close ups of some of them. They did have a lovely book of the quilts from the Beamish collection so I did manage to get some retail therapy. I guess I now need to go and visit them next. I've been meaning to post about classes for a while, and well there seem to be rather a lot I need to tell you now. Firstly I had a great time teaching at Country Threads in Bath. It's a very friendly shop in the center of Bath. It's tucked just down a back street very near the Abbey. I didn't get much chance to look at the Abbey, but it looks very spiky and I suspect well worth a vist. Anyway, the shop doesn't look entirely patchworky when you first see it. The first section has some fabrics but a lot of notions, ribbons, acessories and books. However, if you follow the very cooly curved corridor, you find a whole room of patchworking fabrics hidden away there. I am only sad that I had neither the time nor the space for shopping. 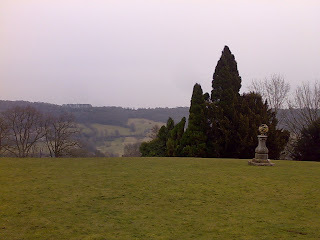 I am hoping I will get to go back and spend some time in Bath and the shop. Downstairs is a dedicated workshop with a small kitchen and bathroom. I love having access to a kettle when I teach, it means the divas among us can bring our berverage of choice and make as much or as little as we like. Although tea drinkers would have been well catered for with the group I had on Friday, I think there was a pot of tea constantly ready to drink. Those students really were tea fueled. I can't recommend driving in Bath at rush hour on a Friday though. I think next time I will try for lesurely shopping, followed by coffee and maybe an early dinner then try leaving. I thought London traffic was bad, Bath has to be a close second. The next class I need to mention is Art Quilts by Numbers at the Nimble Thimble. There are still some places left on this class on Monday 29th March. This is a fairly new shop in Buckingham, which as well as patchwork and quilting supplies stocks a wide range of knitting and crochet items. 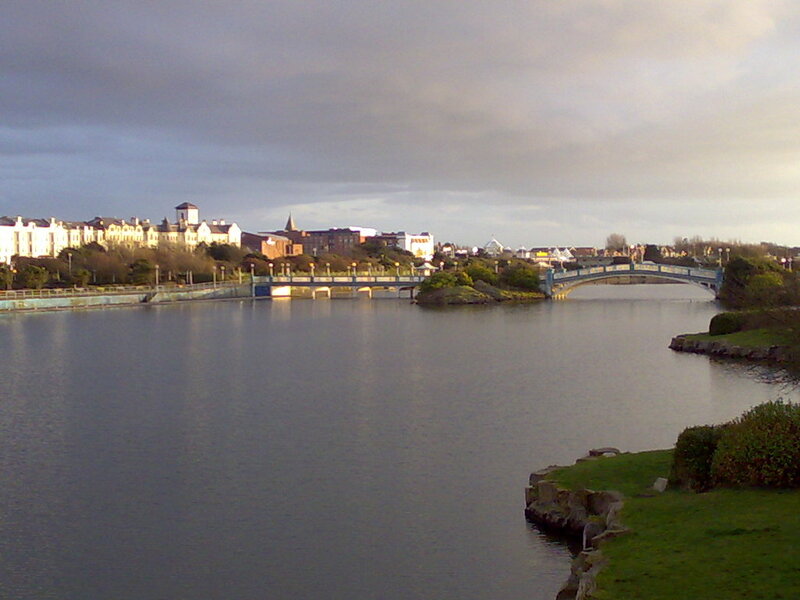 There is parking available at the venue and a great fish and chip shop across the road. Of course you can bring sanwiches if you would prefer, but I strongly suspect I will be going to the chippy. If you would like to see the project we will be working on it is here, and the shop can be contacted on 01280 822236. I would also like to announce an extra regular class at Patchwork Corner. As there is so much demand for weekly classes I will be taking another one on Thursday afternoons. It will run from 1.30pm till 4.30pm. If you are interested in signing up for this class please contact the shop on 01442 259000. I suspect this class will fill quickly so if you are interested leaving a message on the answering machine might not be a bad idea. Finally, for now, I am looking at the possibility of running some regular classes in Harrow. I have a couple of venues I am investigating and assuming all goes well I will be aiming ot start in September. The class will most likely be help on a Monday evening. If this is something that you would be interested in please do get in touch with your details. Wow! Oh wow. Everyone who said I had to come to the American museum was right. It's great. I was very lucky. A new exhibition opened last week, showing a lot of quilts that are not normally on display, this is where I started. Actually that isn't quite right the visit starts before you actually get into the car park. You buy your admission ticket before entering the car park. I found it a bit odd but it makes sense. 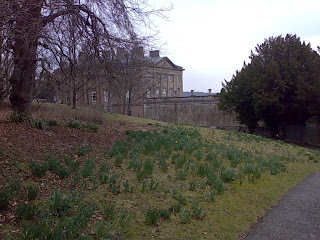 The grounds are lovely and I am sure the car park would be full if you didn't have to pay up front. I got chatting to the chap in the booth, well what do you expect when you arrive somewhere with a car loaded to the roof. He asked if I was aware of the exhibition at the V&A. When I said I was but expressed concerns about it, he asked me to stop on the way out and let him know how I found this one. Intersting, staff who really care about the museum.Turns out he isn't the exception. That's just the attitude of all the staff. The only other museum that was this friendly and helpful was the agricuture museum in Prague. To get to the new quilt exhibition you have to first brave the shop. I managed that rather too well, I could see quilts. I then had to go back and buy the book of the exhibition. I wanted to save myself having to draw everything and the book certainly did that. It's nicely produced with lots of closeups. I am very pleased that one of the staff suggested it as it did save me a lot of work. I may try to descripe the quilts later, right now I am still somewhat overwhelmed. Having to walk through the shop on the way out was a little unfortunate. They had several books I haven't seen before and well they just fell into my hands honest. This meant I had to walk back to the car to drop my bags off before looking around the main house. Turns out that was exactly the right thing to do, I bumped into the gate attendant. I hope I managed to reassure him that I loved the museum. Although I hadn't seen half of it by then. The main building is a proper museum. You start on the lower floor with a quick overview of American history. There is a farm house that converted to a tavern, complete with sofa bed (well settle with pull out). Just goes to show nothing it new. From there you head up to the top floor. Again you take a walk through time, this time via rooms of houses. Many of these rooms have textile links. There are the tools for preparing and spinning linen in the first room, quilts in most of the otheres. The audio guide was a little slow pased for me, but it was quite good on some of the sewing. The best bit was I could pause it to sketch quilting designs. 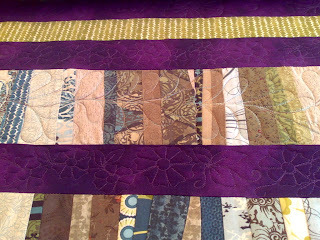 I was struck both in the main house and in the extra exhibition but how similar my quilting is to traditional patterns. Things I thought I had made up were being used in the 1800's. There really is nothing new. Eventually you reach the textiles room. People had described thi s to me, but it hadn't really sunk in. There are lots of quilts mounted in frames like you got in postr shops. That I had mostly grasped, but I hadn't realised how close this brings you to the quilts. 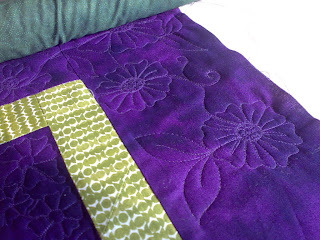 The quilts are behind a sheet of plastic, but you can still feel the thickness of the binding or the applique. I loved this. There are a wide range of quilts on display in this room and so much to learn from them. They also have their stories where known. One, Fanny' Fan, was silks on black satin in fan shapes with decorative stitching. It's not really my thing but I do like the satin and was surprised how well it had survived. It was made by a Quaker, who wanted to marry someone of another religion. As this wasn't allowed she never married and the quilts stayed in her hope chest. Then it really hit me. I was standing in the midst of all these peoples lives. These quilts must all have stories just as interesting and maybe more so. How fantastic to be so up close and personal with them. There were also some rooms where you were walking on historic rugs again covered with plastic. It adds a lot to the feeling of immersion the museum has worked so hard for. Anyway, I've finished my cookie (baked on site and very nice) and my drink and the staff are trying to clear up. I should make a move and maybe get to look at the grounds. Once people find out I am a quilter their first question is often "Have you been tp the museum at Bath?". It has happened so often that I am quite sure I need to and have been getting increasingly embarassed that I haven't. As I am giving a talk in Bath tonight I though I should get here early and see the museums. I say museums plural, as I also wanted to see the fashion museum. I love costume and the older the better. The drive into Bath is worth doing in it's own right. Winding roads and undulating countryside are my sort of landscape. It was helped that the weather now seems to be moving into spring so everywhere was beautifully lit. The buildinmgs in Bath are also right up my street, solid older buildings made of stone. Perfect. I even got lucky with the parking, just outside the building. 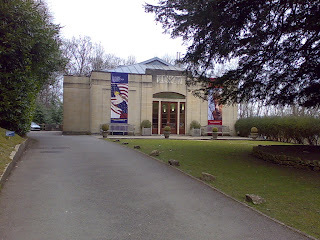 The Museum of Fashion is housed in the assembly rooms in Bath. It's a proper venue for a museum, an old building with impressive architecture and when there aren't functions on you can explore the building too. The fashion exhibits were smaller than I had expected but wonderful none the less. You start at the exibit of clothes of the year. I have to say most of them did nothing for me. The exception being an outfit designed by Jeam Muir. It was one of the oldest in the section, which probably helped. The shape and tailoring were just lovely. Moving on you get into an exhibit of underwear. They have some fantastic corsets on display, but sadly no postcards of them. From here you head into a history of dresses. From sack back dresses, through very wide skirts, via pelisse and into my favourite Victorian outfits. There were several garment on display here that I really love. One of Queen Victoria's dresses is on display. I was aware that she was short and stout, but it is quite different to actually see her dress. What really struck me though were the pockets. The dress had huge (yes even by my standards) and very prominent patch pockets. I could comfortably fitted everything in my pockets into them, and added everything I would have liked to have had with me. What was stranger, they looked stretched as though they had been used to carry large amounts. I can't see a current monach carrying that much let alone in patch pockets on her skirt. I'd love to know what she did use them for. I also found several dresses that are in a similar style to one I have planned for the fashion show. I have meen very careful so say mine is 'victorian stlye' or inspired by victorian ouitfits, but actually it is going to be a lot more authentic than I thought. I had no idea they had decorated their skirt quite like that. I also realised that I am far too conservative to be victorian. Their fabrics and decoration were far more elaborate than most things I do. I was admiring the museums decision to show these gowns in quite low light levels. As well as protecting the cloth I would have thought the very orange lighting would have given a reasonable idea of what these dressed would have looked like in a room with fire based lighting. I was very disapointed when I found the sign apologising for the poor lighting, a fault they were trying to correct! Here is a picture of my drawer unit in situ. The tray on top is the one from the really useful box company. It is held in place with heavy duty stick on velcro. The top drawer is all paperwork and art supplies, the second drawer has munchies and drinks and then the bottom drawer is all the boring stuff I need. Cables and tissues, hairbrush that sort of thing. As you can see it keeps everything contained and tidy. I am really pleased with it. In the winter I spend more time than most in my car traveling to teach. The rest of the year I practically live in my car. I don't mind that but it has given me some intersting problems to solve. The simplest was the issue of finding small village halls down unlit roads in the middle of nowhere. I had already worked out ways of keeping maps and directions where I could see them, but without light that doesn't really help much. No problem, a sat nav can usually get me that last few miles and provides light when it gets it wrong. Slightly harder was finging a way to keep frequently needed things to hand in a full car. The really useful box company helped me with that one. 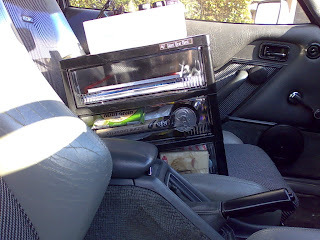 i have one of their deep organiser trays which works great and fits on the passenger seat. Thee biggest problem though has been the general clutter that was collecting in the car and particularly all the things that can roll around. Cans of drink are the worst. I hate paying motorway prices but even more than that i dislike the cans developing holes and spraying their content everywhere. I've been looking at official car tidies for a while but none of them will work for my situation. Most are designed to either fit on the back or a seat or in the boot. Both areas that are full when I go to a talk. I really wanted something for the front passenger seat thjat could live on the back seat the rest of the time. The few things that fitted the bill were very expensive. I was finally inspired by a steamer trunk. Yes one of the huge traveling wardrome and drawer things. Obviously they are too big but a smaller set of drawers would be perfect. Twenty pounds later I have a perfectly sized three drawer unit. The best bit is there is room to have a drawer for my traveling design tools. When I am waiting to do a talk I like to use the time productively and as I design on paper it is the perfect take anywhere job. It's also rather nice having a tidy car again. Tet lost his camera easlier this week. We were pretty sure he must have lost it at a concert but we still had a good look for it. It was odd because he is pretty reliable about where he puts his camera (unlike me) and we both searech his desk as that is where it lives. We had given up hope of finding it and started looking for insurance details. This evening when we got home the camera was visible on the desk! Strange huh. I guess we both failed to look properly. I joked that the cats must have stolen it to take pictures of each other. They have been caught stealing other things, making phone calls and bidding on ebay so it wasn't that unfair. Tet replies that we would have the evidence were that the case. I felt sure that cats would have uploaded and then deleted the images from the camera, but no I was wrong.Last few photos on the camera were all of my cats in daft poses. Well who would have thought it? Next time it goes missing I will ask the cats first. I found out where I was speaking, Bedfordshire. 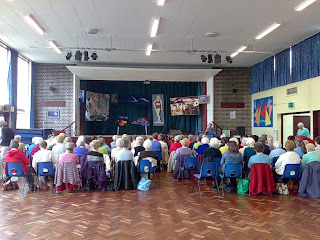 The group was 'Busy quilters and stitchers' who meet in a school with a good size hall. Before the talk I not only had to get the quilts from the storage unit but also spent an hour pushing cars. One was leaving home after several years to start a new life. Oddly, for me, it felt really good seeing it loaded onto a trailer and driven away. However to get to that point there was a lot of shuffling to do. Pushing cars on mud and wet grass isn't much fun at the best of times but when their brakes have siezed it's really nasty, especially at 7am. Still we got it done and made it to the talk. Having, pushed, loaded, unloaded and reloaded I am now exhausted with very sore wrists. At least I can have a break in the car while Tet drives us home. Edit - turns out that we need to make a long journey tomorrow so rather than leaving everything in the car ready for Thursday we had the chance to unload the car again. Woop :( It also means we get to reload it soon too. This quilting lark involves an awful lot of lifting and carrying. I have been quilting honest! I suspect most regular readers have worked out that when i am quiet here it doesn't mean nothing is happening. On the contary it usually means I am insanely busy. This is the third quilt I've had on the frame this week. A friend designed and made the top and I am quilting it as a group entry to the Festival of quilts. It's been waiting quite a while because I didn't know what to quilt on it. This design came to me one night driving home from a talk. I am pleased with it but it is taking longer than I might have hoped. I guess the combination of a new pattern and a dense pattern will have an effect. Tomorrow is another talk. I can't for the life of me remember where right now and as I am in the car I can't check. If you are interested in this one or just where I will be in general there is a calander on my main web site www.ferfab.co.uk. I don't know how many of you read Popular Patchwork, but the December issue had a journal quilt project in it that I wrote. Rather than have a couple of small quilts hanging around I thought it would be nice if they went out into the world to help people. Fire has already been auctioned by Ami Simms to raise money for alzheimer's research. Ice is now up for sale. If you would like to buy a little quilt and help a great cause here's you chance. Does anyone in or near London know a really good dry cleaner? I went out to dinner last nght and the waiter managed to spill white chocolate sauce on my leather jacket. I got some off but the rest is going to need proffessional attention. Over time I've learned that some quilts are trouble, and I can usually spot them when I meet with the cutomer. However some of them I take on anyway. It might seem like this would mean I wouldn't take them on, but actually I often do them. I do charge more for quilts I know are going to be difficult to cover the extra time and hassle, but quite often there is a good reason I am being asked to do them. I do now tell the customer when I taake the quilt in how much trouble I think the project will cause and why this might produce a result less good than I would like. It may not be what the customer wants to hear but I would rather they know in advance what to expect. The quilt on the frame at the moment is one of these projects. I wouldn't have worked with the front, back or wadding from choice, but it's needed so I am giving it a go. It isn't sewing up too badly either. It is causing way more trouble that I expected. It seems like my machine just doesn't want to do this one. Actually that isn't fair, it't the frame that is having a bad day. It just doesn't want to keep tension on this quilt. I could live with that, I was living with it, then the frame had a big strop. Nuts bollts and craching are not good. I caught everything, which was good, for everything except my muscles. I've been out and bought more nuts and now have everything back together and ready to go. Why is it that these things are much more likely to happen on quilts that are already trouble? I don't get it. I have quilts that I just know will work, and they do. I am starting to wonder if it is partly my mental state. When I know I have a difficult day ahead do I do something that makes the frame shed it's nuts, the machine chew needles and the thread become fragile? Also if it is me, how do I turn it off? As you may have gathered from the lack of posting. I've been working pretty much flat out the last few days. 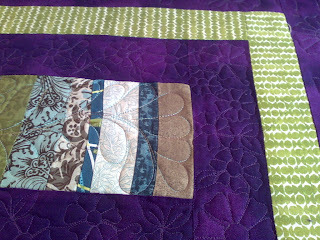 I've had another great machine quilting class, which I love teaching. Lots of customer quilts have been heading home, and I've been tidying up a few future bookings. I am thrilled to say some bookings are leaving more information. I've had emails and phone messages recently which I could reply to without having to first try and work out which booking I am talking about. You can't know how much I appreciate it. Thank you so much. How long does it take to drive 30 miles? That would depend on which 30 miles wouldn't it. In the case of trying to drive from Harrow to Beckenham diagonally across London it's about 3 hours. That's with leaving early enough to miss rush hour and the schoolrun at my end. Fortunately I know London and had allowed more than that, so tonights talk will be on time. I am getting an urge to start on another heavily quilted piece. I think that is partly because I have just filled in the forms for Malvern and the wholecloth 'Greek Fossils' is going there. Of course I really need to get the Malvern quilts bound before I start thinking of starting new ones. Speaking of shows, 'Phoenix Rising' has headed back to America today. I managed to get the worst of the creases out of it, largely by rolling it badly and taking it out in my car. My car tends to be very humid (OK wet) and the combination of that and rolling about seems to have helped a lot. Not a traditional solution I admit, but if it works who cares. Sadly the show who put the creases there doesn't seem to care at all. I can't see me sending any more quilts to Road 2 California. It's bad enough having to ship uninsured quilts but not being able to rely on the venue to look after the quilts is just too much. Hopefully the Lancaster show will be better. Fingers crossed that the quilt arrives safely.